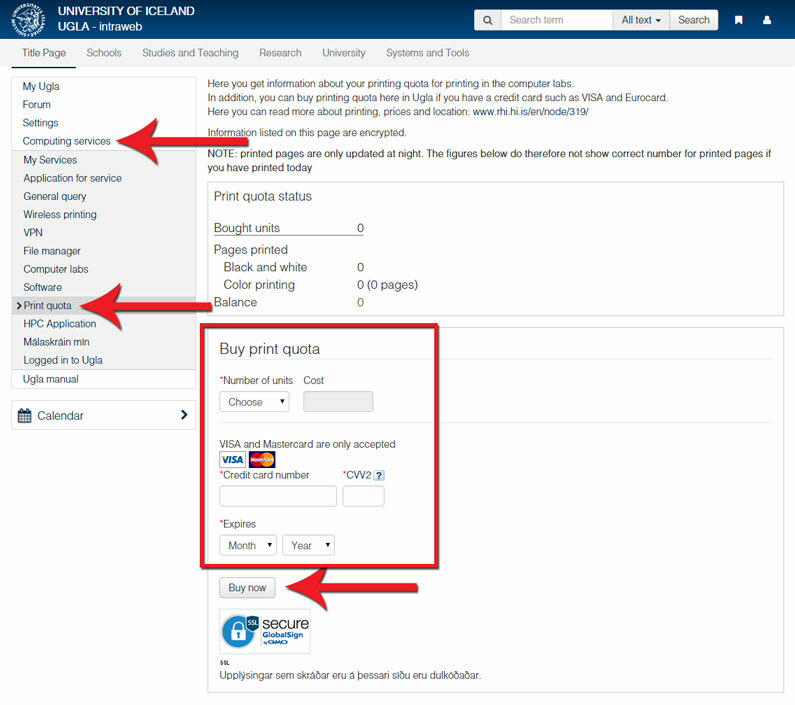 You can buy print quota at the Service Desk on Háskólatorg at the IT Help Desk in Stakkahlíð or online in Ugla. Buying print credits: You will see the right status a few minutes after purchase. Printing in computer labs: Status after printing only updates during the night. So you will not see the real status until the day after you printed.